The guy behind the emperor is a very well known guy and a true watch enthusiast, he is the one who brought the Chinese Pilot 1963 watch back to life by releasing very nice and modern iterations to this legend. He also created a lot of nice homage watches through WUS board. Yes, you probably know him by now, this is Ed, check his Instagram account by following this link. Ed created the Emperor after a lot of forums’ discussions till it reached the final design. I was lucky enough that to get my hands on one of the Emperor’s prototypes. I felt the watch wears much smaller than a regular 40mm, I would say feels like a 38mm, probably due to its design and the bezel shape, this isn’t a bad thing, as it really gives a vintage feel and it wears really nicely. 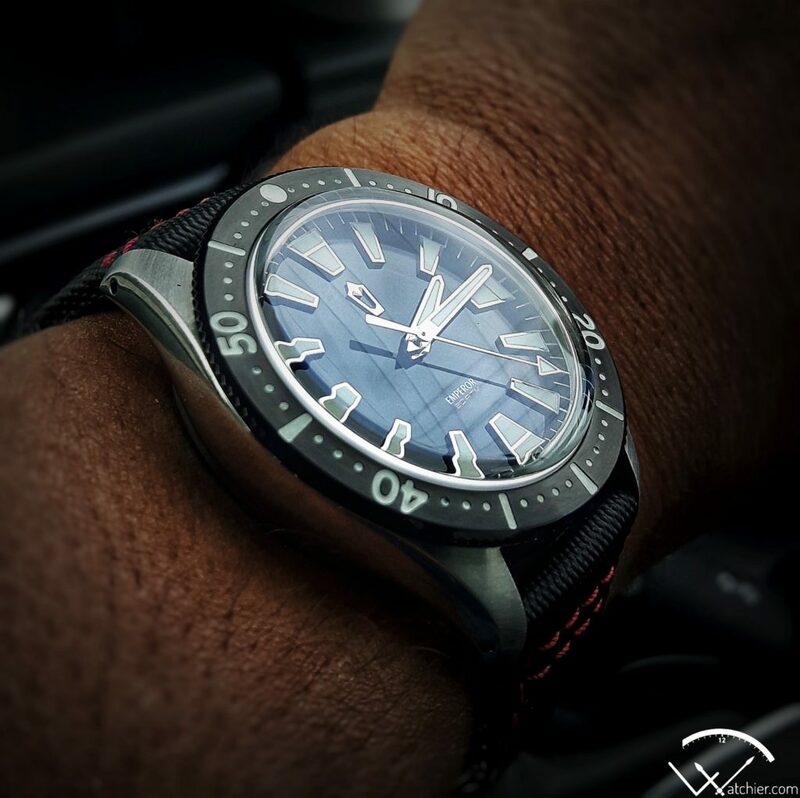 The black PVD bezel is gorgeous, it is very nicely constructed, clicks beautifully with no back play at all. 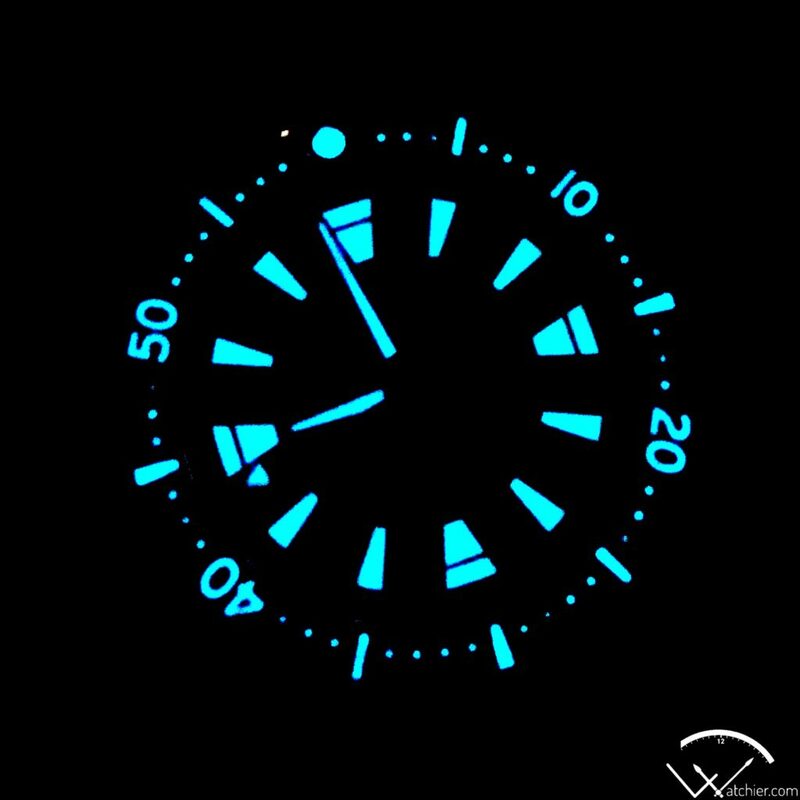 It is generously filled with lume as well; Ed did mention that the production watches will have more defined numbers engraved on the bezel, although I couldn’t find a problem with the engraved numbers as they are now. The case profile is very nice vintage aspired, the lug holes are properly centered and actually useful. On paper you might think the watch is thick at 13.5mm, but because of the case profile and shape it really wears better that the numbers can tell. The crown on the prototype isn’t engraved, but the production one will be engraved with a penguin logo. The crystal is one of the best thing in the Emperor, it is gorgeous, similar to the Ginault OR and Zodiac Seawolf, I would assume they are all from the same supplier. The watch came on a BOR bracelet, which is hefty and nicely done, I’m not a bracelet guy in general, so I took it off and put it on sailcloth strap from Mr Sailcloth. The case is nicely finished with polished sides and brushed lugs’ top, Ed mentioned that the production ones will have vertical lug brushing to match the outer bracelet brushing direction. 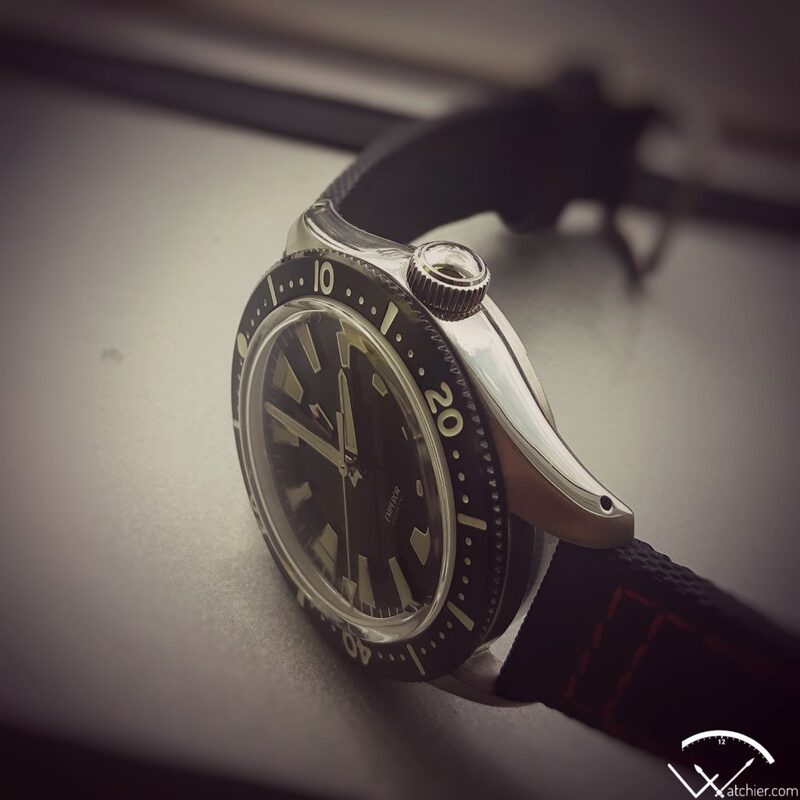 I really enjoyed my time with this beautiful watch. Get one when you still can. Worth mentioning that Ed partnered with EMG Watches team to release a similar diver called “Nemo with an upgraded Miyota 90S5 which is a high beat no date Miyota. 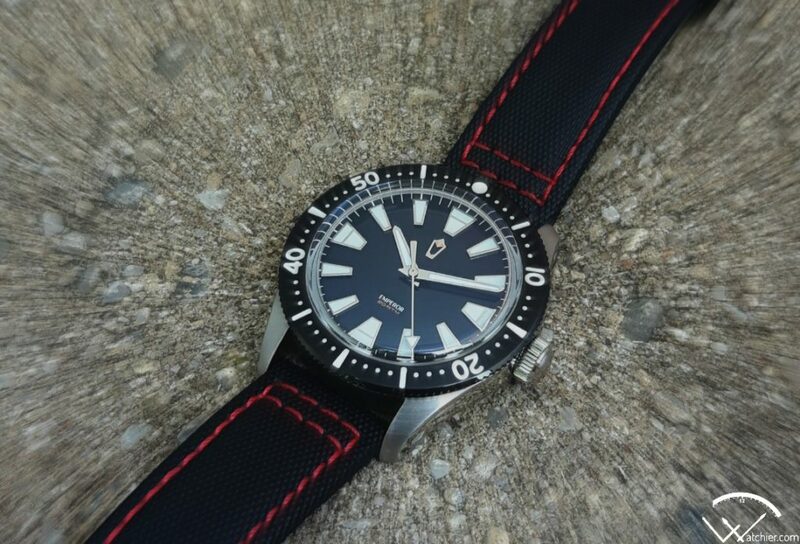 Have a look on the Nemo if you are interested to add some colors to your collection. 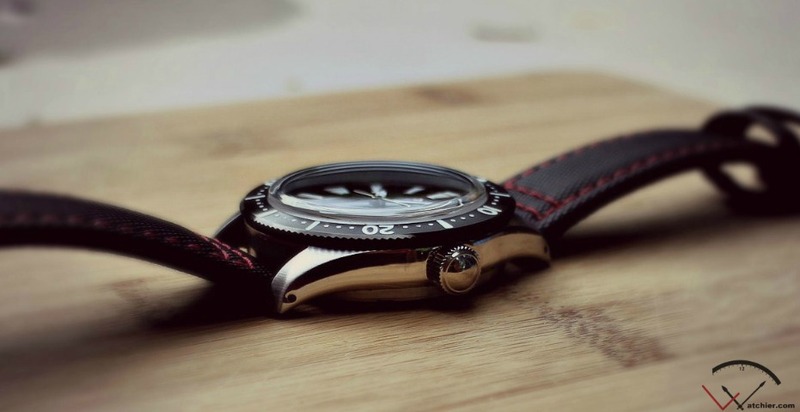 Check my friend’s Watchexposure on Instagram for some beautiful pics of the Emperor. ← EMG a new Horizon!